As early as 1911, Ernest Thompson Seton had developed a prototype program he named Cub Scouts of America that was never implemented. James E. West felt that having BSA divisions for younger boys (those under 12; the “younger boy problem”) would draw away boys from the core program, which was Scout troops focused on the 12–17 year old age group; thus he opposed such a program for some time. In spite of this, unofficial programs for younger boys started around this time, under names such as Junior Troops or Cadet Corps. 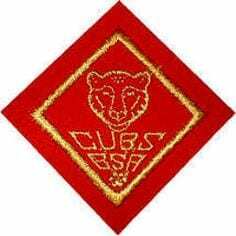 The BSA obtained the rights to Baden-Powell’s The Wolf Cub Handbook in 1916 and used it in unofficial Wolf Cub programs starting in 1918. This led to an issue with Daniel Carter Beard who felt that the use of the British book was nearly disloyal to the United States of America. West encouraged the formation of the Boy Rangers of America, a separate organization for boys eight through twelve based on an American Indian theme. The Boy Rangers used the Scout Law and their Chief Guide, Emerson Brooks, was a Boy Scout commissioner in Montclair, New Jersey.